(CNS): Employers that move into Cayman Enterprize City will be able to bypass the usual work permit system under the bill which is expected to be passed in the Legislative Assembly during the next meeting. When the legislation to establish Special Economic Zones becomes law, businesses operating within such zones, including CEC will be exempt from a number of rules and regulations that business normally have to follow. Businesses in the SEZ will need to apply for “employment certificates”, which will be issued at reduced rates to SEZ businesses needing foreign workers. So far, however, government has not revealed how those reduced certificates will compare to current permit rates. Businesses setting up in a Special Economic Zone will enjoy a variety of concessions and exemptions from certain local licences. The tenants at CEC, which is the first and at present only economic zone proposed for Grand Cayman, will be exempt from requiring a Trade & Business Licence. They will also operate under an exemption from the Local Companies (Control Law), which means they will not need to fulfil that law’s 60 percent Caymanian ownership requirements and will also be exempt from operating under the Electronic Transactions Law and the Land Acquisition Law. Workers within a SEZ business will also enjoy no restriction or delay in the transfer of their pension money or assets atthe end of their work permit, according to the bill. SEZ businesses will be exempt from paying for a broad range of fees, taxes and duties for the next fifty years that will be specified in regulations to be drafted to accompany the new legislation, in order, government officials say, to attract new business to the islands and boost the economy. Under the bill, which is anticipated to be debated in the House in this forthcoming meeting, SEZ businesses will have to comply with some laws and regulations. They will have to pay fees under the Exempted Limited Partnership Law or the Companies Law and they will have to pay stamp duty for the purchase of land or lease of property. SEZ businesses will also not be exempt from customs or import duties on consumables worth less than US$5,000 imported into the SEZ after five years from the date of occupancy of buildings within Cayman Enterprise City. SEZ businesses will also have to pay ‘trade certificate fees’ capped at US$150 per business per year. Basdeo says the entire issue of establishing a SEZ is extremely complex and has taken considerable research and preparation. “The concept of special economic zones is well-established around the world and there is a lot of research and best-practice information to draw upon. This research and specific examples of how multiple zones can be established successfully in a jurisdiction was utilised when preparing Cayman's approach to the CEC proposed zone,” he said. The SEZ Bill was, he explained, drafted to provide a general framework to establish special economic zones in Cayman. “The CEC zone is very specific in terms of the types of companies permitted to establish in that zone, and given that other opportunities for complimentary zones may exist, the ability to allow other zones was seen as the best way forward,” he added. Basdeo said extensive consultation with key departments, specifically General Registry, Immigration and Lands and Survey would be needed, with identified amendments to other legislation also required to allow for the operation of SEZs. “This consultation is on-going as the specifics of various application processes for zone companies are still being finalised. It is envisioned that details of these processes will be captured in the regulations that will accompany the primary legislation,” he confirmed. See the SEZ bill which is currently available for public scrutiny below. Will Caymanians or persons who do not need work permits be allowed to work there. Whilst I see it saying they wont need workpermits for their foreign workers will any Caymanians be hired. If Caymanians are hired will they too be able to take their pension out when they leave. nothing wrong with the idea in principle but i can't see anything ever getting built…… they should re-name it the 'virtual cayman enterprise city'……. very surprising to see so many concessions given without any real committment from the developers…. How about forget this SEZ and the govt write the legislation that allows for it to be covered for the entire island. At that point the govt should write this law. It would allow for any property within the three islands to benefit from rental income and not just this 'building'. It also allows for the existing tech companies to benefit. The entire islands benefit that way. The law would then be rewritten to allow for TECH companies to come here with concessions. That is the way the financial industry came about back in the 80s. Now that is how Cayman can bring the tech companies. Someone please take it and run with it, we don't need some stupid 'zone' to come here where only the select few will benefit. I agree with your suggestion but what would be in it for the politicians if everyone could benefit? What's in it for them now?! NOW that is an issue that should be transparent!!!! A way to bring online gambling to be headquartered here. I don't understand why some people have a problem with this development – it seems to me that this is a win-win situation for everyone, especially young Caymanians who may be looking for new careers. What better way to keep home grown talent at home than to offer them opportunities in Cayman. I have been following this project over the past months and taken the time educate myself about this including reading their website. The concept and benefits to Cayman all make sense. There is a growing genuine requirement for many global companies to set up a tangible presence and base of operations in a jurisdiction such as Cayman where their executives can be based to easily target the Latin American markets with technology products, whilst enjoying tax benefits. Up until now Cayman has failed to attract such tech companies due to too much red tape. Bottom line – Cayman needs more people (quality people with disposable incomes) spending money in local businesses to get the country out ofthe economic mess. This project will not only be positively impacting the economy through the spending in local businesses, but its creating well-needed jobs and giving kids a brighter future through educational and career opportunities in new high-tech industries. Look out Cayman or Bermuda will jump on this idea and we as a country will lose out again! …..Bermuda will develop a zone and welcome those high spending international companies with open arms…..thanking them for creating jobs for their people and for introducing new high-tech career paths for their children! If the rents are reasonable compared to GT and Caymana Bay and we don't have to deal with immigration crap any more then wonderful. Most of our fund related business is with overseas entities and the business we do locally is just to support that. As far as I can read there is nothing that would stop us from locating in the new zone. Has anybody seen anything different? People please this is not a techy park. This is just a real estate deal with lots of hype to camoflage the special concessions attached to it to benefit the usual #$^&^%#. Show me anything in the bill that says otherwise. Snake oil for sale anyone? There are a bunch of comments suggesting that this SEZ foolishness is about high tech companies and not about allowing the financial services sector to re-locate to be outside of immigration control. Anyone who has taken the time to read the actual bill will see that it has nothing to do with high-tech companies and that it will allow the financial sector to re-locate. I challenge anyone to show me anything in the legislation that contradicts this fact. 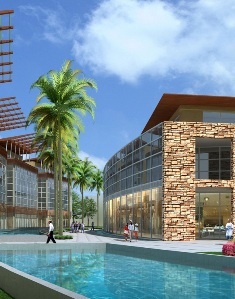 Cayman already has a special economic zone. Goatyard Park! Go there and learn all about 'setting up shop' in Cayman and understand how to build an import/export element to your already existing local distribution network. Politicians and lawmakers get to it! it gives the pie to everyone rather than one set of people, ie these developers…. I'm sure we won't really understand the true benefits nor backlash from this, but Cayman is technologically stuck in the 90's and I welcome this deal with open arms. I'm a born and raised Caymanian, having lived abroad in several different countries for 3 years studying global IT systems and can't find work in Cayman – not because there aren't jobs that I'm qualified for, not because the evil expats have taken them all, but because I am not challenged enough in the positions available and consider some of them irrelevant in this day and age. We don't have the infrastructure or knowledge on island to be self-sustaining and I am excited to see one developed and become a part of it. We cannot rank ourselves among other first world countries with the dinosaur-like technologies we have and welcoming global NON-competitors is a step in the right direction. Has someone let the kids at the nursey get access to the computers there? Only dummies could be thumbing the above comment down. Just shows what we are working with here. Great comment by the way. The SEZ is aimed at companies operating in fields which are not already represented in Cayman – bioscience, software and so on. Law firms, banks and the like would not fall within the parameters of the SEZ and would be refused a trading certificate. The SEZ companies will still have to getpermits for their workers – it's just a different system and a more competitive fee. They are still liable for stamp duty, import tax and so on. The biggest problem facing the Cayman economy is that there are so few "real" businesses here. Offshore finance demands qualifications and experience that hardly any Caymanians have. Tourism offers the kinds of jobs that most Caymanians seem unwilling to do. The SEZ will offer a wider variety of businesses that will employ locals, offer opportunities for training and career development, and will also stimulate Cayman's other service industries. Honestly, what's not to like? It amazes me that Caymanians are so quick to jump on any plan to improve or diversify the economy of the islands. The people who are cynically running down this proposal should take a look at themselves and ask what they really want for Cayman. You should try reading the law carefully before making generalisations based upon race, there are plenty of legitimate reasons to be concerned with this proposed law in its current form. Mac will have last laugh at CEC. There will be nothing special about CEC properties as soon as Mac gives SEZ status to the next 10 property owners … I'm guessing Dart is next. This would make a great book. Civil servants get a bad rap around the world, and especially in Cayman. But in this instance they are doing tremendous work. Dr. Dax and his team have done extensive research on special economic zones, and have brought together all the disparate parts of Goverment and the civil service has worked as a team to make CEC a reality. With all this talk of Caymanians being protected and having jobs reserved for them, Caymanians like Dr. Dax have no need of protection. They hold their own against the best the world has to offer! Dax is an educated person – his boss not so much. If he had anything to do this I hope it was under protest. I am skeptical. I think that Dax is too smart to touch this unless he had direct and inescapable orders to touch it. The legislation reads like it was written by the developer. You are either in the employ of the developer or are kidding right? I know that there are gullible people but when people post this type of inane nonsence it has to be a wind up right? So are you admitting that CEC DOES create employment? Companies within the zone cannot trade in Cayman. Its sooo simple! We bring tech companies to Cayman (that can't compete with us), but we can sell our goods and services to them. It’s a win for all Caymanian businesses. Come on, it makes sense that they would have lower permit fees as they could be compared with some of the plaque on the wall businesses who pay no permit fees at all and who reap benefits from “having their business here” without having to have staff located here or in any way contributing to the local economy. At least the business located within the zone will have staff based here who will need groceries, cars, homes, legal services, medical services etc. etc. etc. It’s a win win for Cayman…. but that's just my humble opinion. This sounds like a super good deal for Cayman – if you are an idiot. So these companies will not require work permits – no need to hire Caymanians. They wont pay any business license – no revenue from this for Govt. The companies will be foreign owned – no operating profits for Caymanians. They will be exempt from a broad range of fees, taxes and duties for the next 50 years – no income for Govt. You are a bloody idiot, ever hear of a phenomenon called the knock-on effect. Companies will come to Cayman because of a "REDUCED" cost of doing business in an economic zone and attract mid to high net worth employees and thir families who in turn, create spin off employment by spending their hard earned money on accomodation, food, services etc. yes, theres absolutely no benefit in that to an island with a declining population, an abundance of empty rentals and a lot of unemployment. Your attitude is of No Benefit to Cayman!!! Then we will kiss and make-up and wait for the crumbs to fall from the rich corporations table. If you don't have any solutions you are a part of the problem. Wow! I've seen a lot of ignorant posts on this site before, but this might take the cake. Knot Sooo Smart indeed. I use this pen name when the name reflects my impression of the idea being discussed (in this case the agreement). I also intend my user-name to reflect those posters, who after not comprehending the validity of my argument, still post a non-sensible reply. Your post indicates that my user-name has accomplished my intentions. Please excuse the re-post but this comment is relevant here as well. Locals will be limited to jobs that don't migrate to the new special economic zone or off the islands entirely. No work permits required in SEZ so therefore this new rule will not apply there. Banks, law firms, accounting firms, trust companies, fund managers etc will all move to the SEZ as most of their business is done with offshore clients or it could be arranged that way. In South Africa it was called apartied. Apartheid? Wow! You really want to go there? Please do not think that the extremely high standard of living, beautiful beaches, career opportunities, and low level of crime you experience in the Cayman Islands is in any way comparable to the apartheid system we used to have in South Africa. If you really feel that way, come and live in one of our ghettos for just a week. You will return home with an inextinguishable gratitude for the good life you have. Okay, I thought Knot so Smart's comments were ignorant, but your comparing this to Apartheid in South Africa easily trumps that. Bravo! Hmph – sign the Dart deal. At least he will pay for work permits when he needs them. What is this going to DO for us? Is Mr. Dart paying for his land? land owned by the people of the Cayman Islands! Is Mr. Dart paying duties on construction materials? Is Mr. Dart paying stamp duty? CEC is paying for all that, and giving the benefits (i.e. low cost employment certifiicates) to their tenants, rather than just keeping everything for themselves. YES – he has paid for and will continue to pay for land. The land swap is a small part of ForCayman and only a small amount of the land he has PAID for. YES – he has and there may be some concessions going forward, but CEC will have other concessions so they are balanced here. Can I move my business there? This is ridiculous! why should I be paying the atrocious work permit fees and these people don't? I knew there was a catch somewhere. I am all for bringing new business to Cayman but do we always have to sell our soul and give up everything to get it. I know we are desperate but once the horse has bolted from the gate we will never get him back in again. The government really needs to look at reducing fees on existing businesses to stimulate the economy. It will be years before this SEZ show anys real rewards. How about doing something for the bussiness that have suffered and still are suffering? They can make an impact on the economy right now? Businesses need help and people need work. We are crying out to the government to help us. Why can't they hear our call? What are they waiting for? Can I move my business there? The list is endless, but the closed minded "them against us" mentality that seeps through our culture blinds so many of us to the benefits. Its that way of thinking that will be Cayman's downfall. Sad to say as it is my home and I have nowhere else to go. So far the Government have been extremely vague about what types of business will be setting up in the SEZ. Am I correct in thinking that these businesses will not be trading in Cayman? If this is correct, then why would a business want to have a tangible presence and operate here? What is the advantage to them? Companies can already be incorporated here with a relatively low costing yearly fees to avoid paying tax in their own jurisdiction. Even if they don't have to comply with certain fees, there's still the extremely high cost of living in Cayman to contend with. Wouldn't it be too expensive to buy premises, pay stamp duty and employ locals and expats? Maybe I've got the wrong end of the stick. Perhaps someone can explain? This was addressed under one of the previous articles on the Tech Park. Apparently they would develop software here and the Intellectual Property rights would be situated here and therefore not subject to onshore taxes. Going forward it may no longer be sufficient simply to incorporate here in order to avoid taxes. You must have a real and substantial presence here. They can do this now without SEZ. A company can move staff here and develop software such that the are not subject to onshore taxes. The only difference is that whoever Bush gives this SEZstatus to can charge more for rent because they can guarantee that most of the government fees are waived or drastically reduced. So why limit it to just a select few that Bush grants this SEZ to? If we are serious about encouraging technology companies then why not make it island wide, and help all the Caymanians that own commercial real estate? Instead, he is going to penalize Caymanians who have previously invested to build commercial rental property, because their tenants will just move as soon as their lease expires. Finally it all makes sense. Thanks poster 13:43 for explaining the real story. It really is very simple, with this SEZ law Bush and his fellow Cabinet will be in a position to 'sell' to any real estate developer or commercial land owner a new classification that they will NEED to be competitive with all the others that have already been granted this distinction. Very clever set up by Bush, but very dangerous for our Country! It's hard to believe that with this set up anyone would invest in CEC. I suspect that it is to maintain the illusion that this is anything more than a deal negotiated to give special privilege to the "chosen" few. There is nothing in the actual legislation, and the deal set out for the favoured in the schedules, to suggest that this "SEZ" has anything to do with "high tech". There is no mention of anything even remotely associated with " high tech". There is no evidence other than media hype suggesting that "high tech" compnaies are going to magically appear in Cayman. Can everyone say smoke and mirrors to fool the gullible. hahahaha…not one shovel in the ground….someone just got scammed!!!!!! So most of us in the financial services sector that mainly deal with overseas clients will be able to relocate to the special zone. Just one of those special real estate deals and we will then never have to worry about work permit or training or anything else like that – what a clever man that Mr. Bush is. That will emply out most of the commercial properties that are outside the zone but I am sure that Mr. Bush and his colleagues have thought about that. Maybe Caymana Bay will be listed as a zone too – cool. From my understanding, financial service companies are prohibited from moving into the zone, so existing commercial properties will be fine. In fact they should be better than fine, since the financial service companies will expand because of all the new work CEC will bring to them. Actually there is nothing in the legislation to prevent the financial services sector from re-locating. If it actually was the government's intention to prevent this type of activity from re-locating it would have been in the legislation. it is not. The anonymous hype saying that this zone is going to be "high tech" is nonsense designed to fool the people – again. Companies in the European Union have a right to establish their businesses in Cayman without the need for complying with the Local Companies (Control Law) already. This is correct. Shame nobody in government seems to know it. In theory EU citizens should also have a right to work and reside in the Cayman Islands without any restrictions but I don't see that happening. Maybe that's what's going wrong. Rather than messing around with things like SEZ why not just open up the islands to EU citizens, let them live here, set up businesses and invest in the islands without having to jump through hoops to satisfy petty bureaucracy. The EU based rights which apply in Cayman do not extend to the right to work without further regulations from Brussels, unless you are self-employed and already have an established business. That means businesses moving here. Perfect! That is exactly what we are looking for instead of this SEZ which is only good for the developers. Read Article 199(5) of the Treaty on the Functioning of the European Union and related commission decisions. As an OCT Cayman may choose to opt into the EU provisions on freedom of movement for workers (Article 202 (ex Article 186)) and freedom of establishment (Article 199(5) (ex Article 183(5))), or not. Whta you say is correct about free movement of workers. There is a substantial body of learning in respect of Art. 199(5) that it is not correct in respect of the freedom of establishment. No doubt there is a Court in Luxembourg that will consider what the position is . . . I am quite familiar with 199(5) and related decisions. They do not mean what you assume. What nonsense. Try it and see what happens.